"Please help me how to handle my 2 year old gardenia plant that has "black mold" on the leaves and has never given me any blooms since the week I first brought it home. I have even tried to "soapy wash" the leaves once but that was too much work, I need to keep away from any pesticides as I am pregnant and I have a toddler that plays in the yard. Please let me know how I can bring my plant back to "blooming life" again! Gardenia requirements are very exact, and to insure your plants continued bloom, these needs must be met. Cultivating around the plants may damage their shallow roots, so the plant should be mulched with 2 to 3 inches of wood chips, sawdust or ground bark to keep the soil moist, cool and weed free. 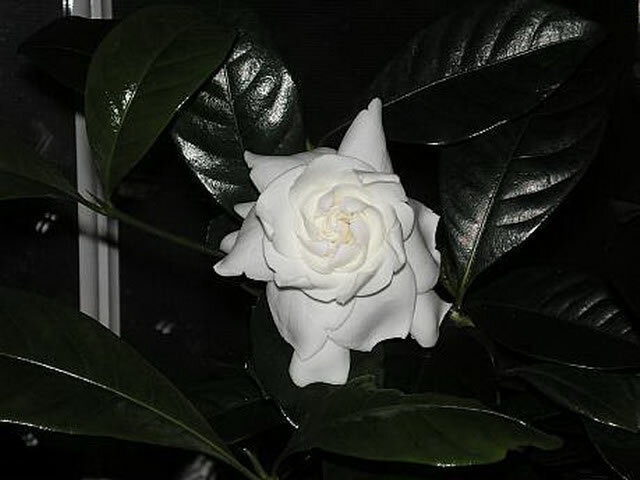 Feed Gardenia plants every three weeks during the growing season with a Rhododendron & Azalea type food, or acidifying fertilizer such as Miracid®. Proper temperatures are necessary for a gardenia to bloom. This is the most critical aspect of getting your Gardenia to bloom. Flower buds will fail to form if day temperatures are higher than 70° or if night temperatures are over 65° or below 60°. The ideal temperature ranges would be 65 to 70° during the day and 60° to 62° at night. Gardenia plants can be pruned as far back as you like, but you should keep a few important details in mind. First, cut plants back when they are dormant (dependant on where you live). This will allow the stems to "heal their wounds" because the plants aren't actively growing. This way you can still enjoy flowers the next year. When pruning, don't cut all the leaves off. Some leaves need to be left so the plant can still produce food for the root system. The following spring, use an acidic fertilizer with chealeted iron and high nitrogen so the plant can produce healthy leaves and buds. 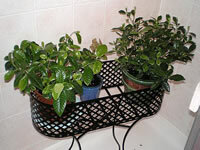 If you only want your plant to become bushier, simply pinch out the tips while the plant is dormant. Pinching will usually promote a heavier bloom the following year. I think that your 'black mold' is more than likely an algae growth, which is a cosmetic problem for your plant rather than a health problem. This could be caused by insufficient air circulation, or possibly lack of sun. Unfortunately, in your situation, the only way to remove this growth is by hand washing each leaf.